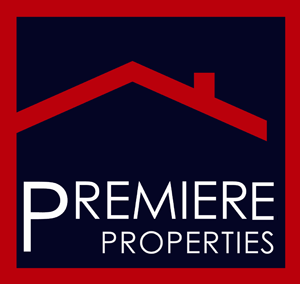 With Premiere Properties, you have the advantages of being in business for yourself, without the feeling of operating alone, in the ever-evolving world of real estate. Premiere Properties agents have more control over their own careers, as well as their own success. You will be able to experience the pride of establishing a superior level of personal service, while being complimented and driven by the company’s strive for excellence. As a Premiere Properties agent, you will have the advantage of being associated with the success of the Premiere Properties brand, but you will also have the independence to act as creatively as you wish with your advertising and personal promotion. The rest is up to you! You only pay a $400 transaction fee, which goes to $0 after you hit 20 sales per year. That's it. We will provide a One Stop Shopping Experience for All of Our Clients with Both Real Estate and Mortgage Services! Those interested may call Tom Brewer at 817- 690-9296 or email at tom@tombrewerjr.com. All inquires are confidential. Premiere Properties Real Estate’s principle maintains that sales associates receive the highest possible compensation for their efforts. Our agents are valued like family and thus do not pay desk fees, internet usage fees or long distance calling charges. We offer that free to our agents, from any Premiere Properties office, in order to help them succeed and establish themselves in the real estate world. After all, our company is only as successful as the agents that comprise it. For more information, on joining the Premiere Property Real Estate team please contact us below.